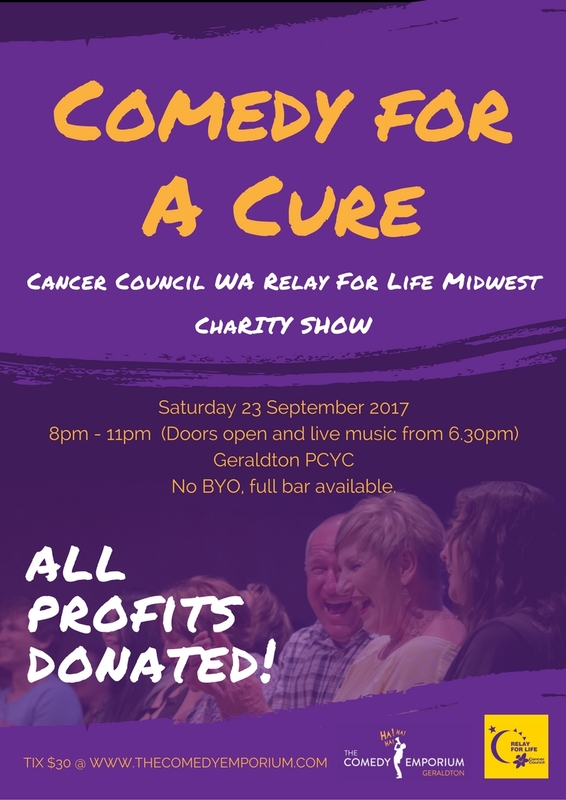 The Comedy Emporium and the Cancer Council WA Relay for Life Midwest is proud to present Comedy for a Cure – a very special charity show in Geraldton on Saturday 23 September. The Comedy Emporium will be bringing their best wit to help raise vital funds for the Cancer Council's research, prevention and support services. The Comedy for a Cure charity show will take place at the Geraldton PCYC on Saturday 23 September. Doors open with live music starting at 6.30pm and comedy starts at 8pm. Stay tuned to The Comedy Emporium website and Facebook page for the line-up announcements.